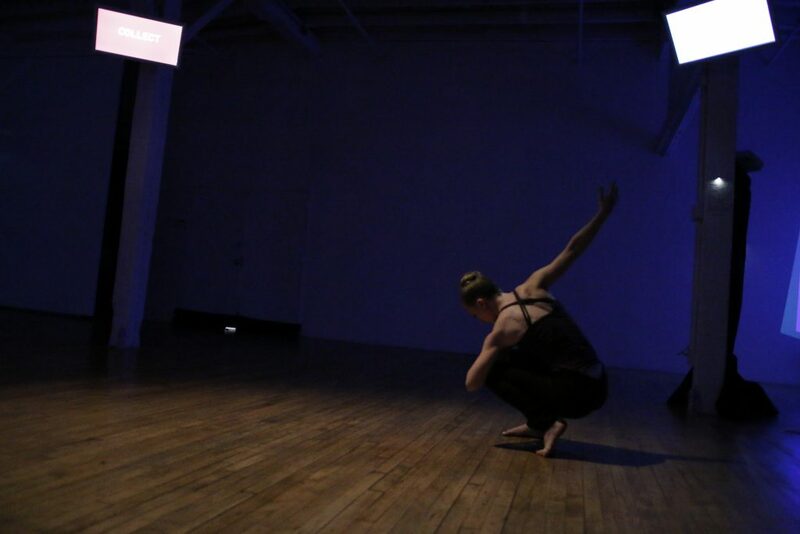 Smart Snow is a collaboration between dance choreographer and media artist Kathleen Kelley and poet Sarah Rose Nordgren. Since meeting at a high school party and recognizing each other as artistic soul-mates, they have been working together formally and informally for over 15 years. Smart Snow gives a name to their lifelong artistic relationship. 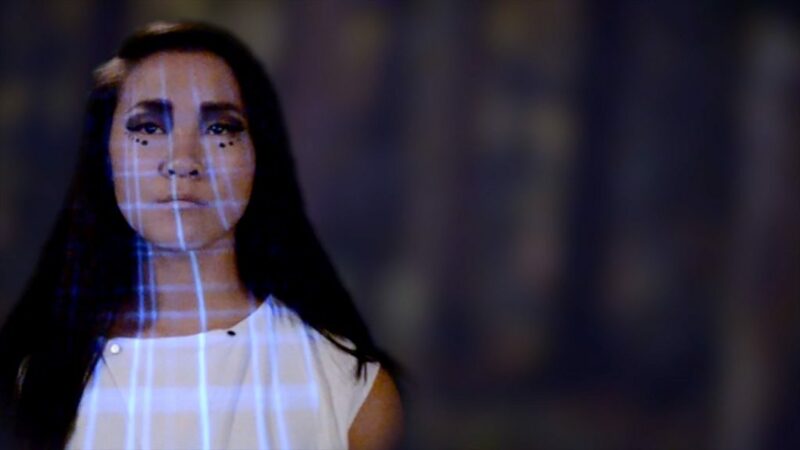 Smart Snow creates art that pushes the forms of dance and poetry into new technological territories. 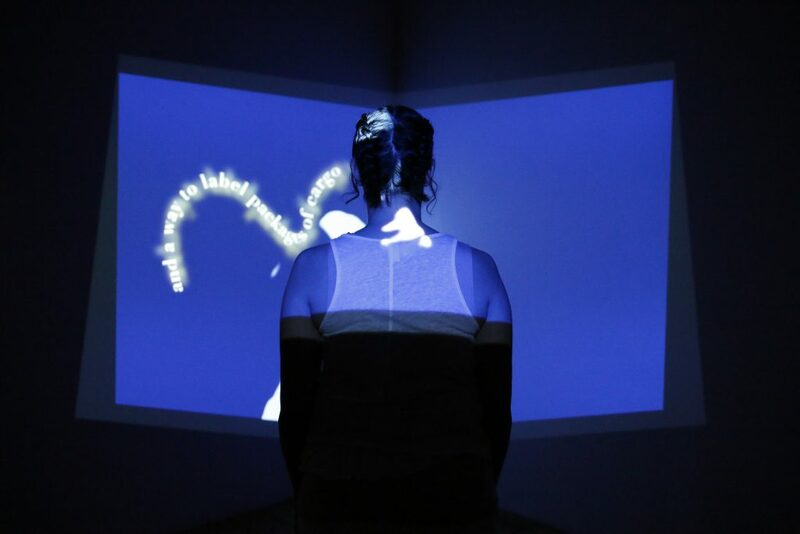 As women working at the intersections between art and tech, Kathleen and Sarah Rose are interested in the mirrored relationship between technological and evolutionary processes and the “natural” and the “human” inside of digital spaces. 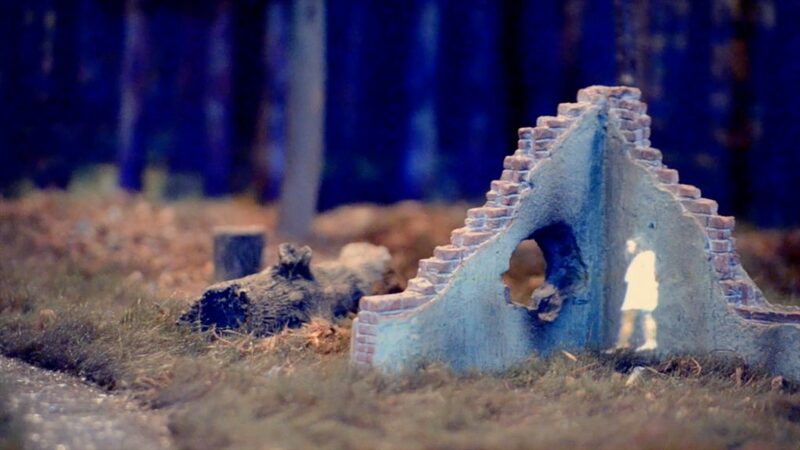 “Territory” is a new short film by Smart Snow that incorporates choreographed text, dance, and projection elements, all set in a 2’x4′ forest diorama the artists constructed using landscape miniatures made for war reenactment. Hovering between utopian and dystopian visions, the film depicts a woman confined within a fantastical forest environment that gradually reveals itself as both magical and claustrophobic, static and surging with power. The filming of “Territory” was generously funded by the Taft Research Center at University of Cincinnati, and it was published in TriQuarterly (Issue 153) in Winter/Spring 2018. Watch “Territory” here. 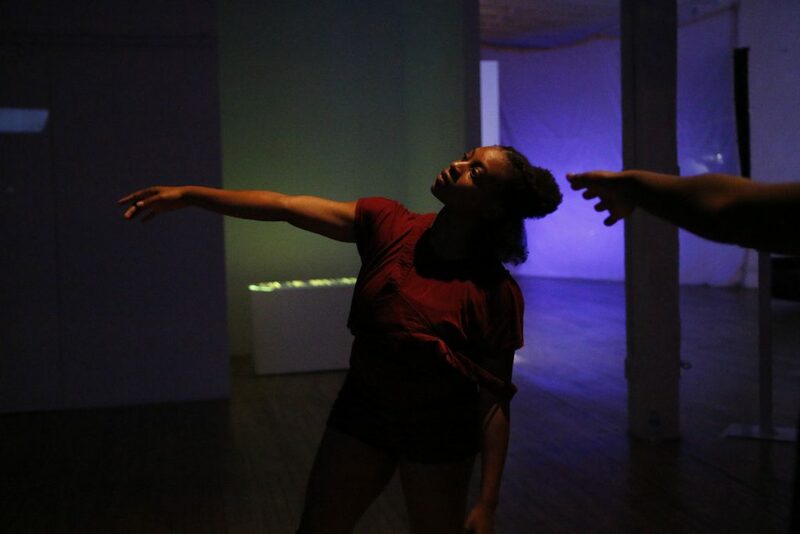 Digitized Figures is an immersive installation that incorporates video, text, and live dance to conjure a richly textured and fluctuating landscape. 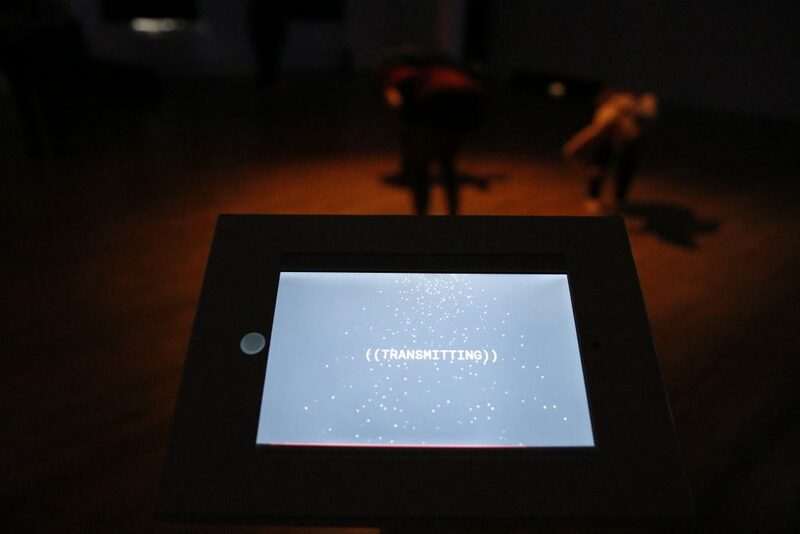 In this project, Smart Snow introduces a completely new form which we call “choreographed text.” This form, in which text “dances” across the screen, invites the viewer into a new relationship with language itself, presenting words as digital bodies inhabiting the performance environment. Digitized Figures premiered at the Gowanus Lofts in Brooklyn, NY in October 2016. 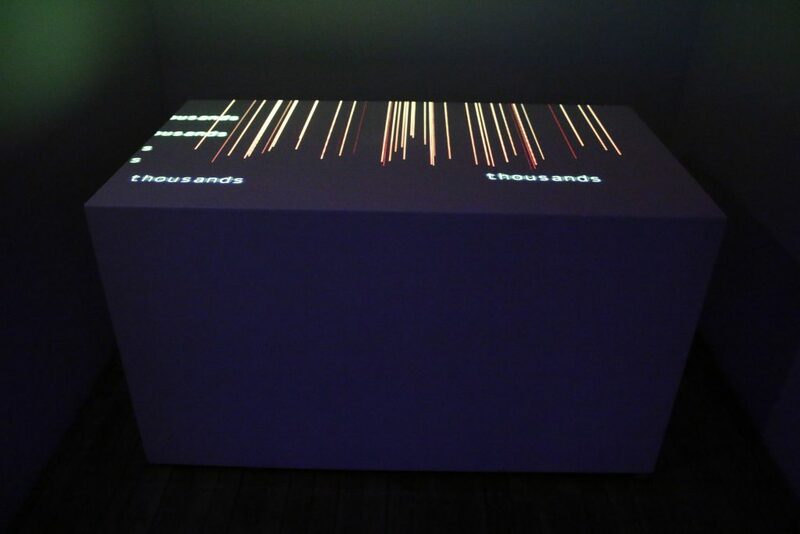 In addition, elements of and videos from the installation have been shown at performance and online venues across the country. The phrase “smart snow” is borrowed from poet Cathy Park Hong’s book, Engine Empire. In the section called “The World Cloud” which depicts a futuristic dystopia, smart snow is a substance that permeates the environment and allows communication through the cloud. We see smart snow as the perfect melding of the virtual and the material.